It’s been 3 years since these lovely ladies graced us with their presence. Rebecca and Dilara are about to graduate as fully fledged dentists this month. It has been an honour to have known them. To see their knowledge of dentistry grow, and their ability to deal with patients mature, has been rewarding. The rest of the staff are going to miss their spark every Saturday morning at that wonderful start time of 8am. After a long week at university, to get up early to come to work, on the weekend is an achievement in itself. We have also been on a journey with them as they negotiate the four year dental course: their dealings with patients, tutors, lecturers, the hospital, and the system! It’s been trying at times for them. I know all past dental students have been there! 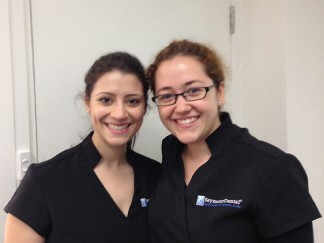 The past blogs have shown us a taste of the life of a dental student for Rebecca and Dilara. We also have their stories of escaping to the country side for dentistry, first Dilara then Rebecca. They also shared with us their dental talk to a kindergarten class. But they are a surprise package! 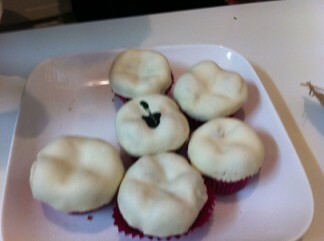 They are into making cakes of all sorts of varieties. 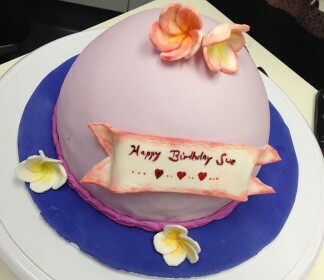 Recently Sue had a birthday which Dilara made a wonderful creation for all to devour! Rebecca even has a website with some of her creations. Rebecca and Dilara have been excellent blog models for the website and newsletters such as “Boring is good”, “Say no to decay” and our privacy page. We have learnt a lot from each other, and it will be sad to see them leave. I know they will excel in their dental careers and whatever life throws out them. They are enthusiastic, intelligent, empathetic and fun. You will always be a part of the SeymourDental bunch!